Massachusetts and Rhode Island are among the latest to join a multi-state lawsuit over President Trump’s use of an emergency declaration to fund a border wall. California and 15 other states filed the lawsuit last month, challenging the use of presidential emergency powers to build a border wall. Now Rhode Island, Massachusetts, Vermont, and Wisconsin are joining in. Rhode Island Attorney General Peter Neronha said the president’s emergency declaration violated the constitutional power of Congress to control government funds. The emergency declaration would divert $8 billion to build a barrier on the US-Mexico border. $600 million of that would come from the Treasury department’s forfeiture account. That’s where the federal government puts money seized in some customs and tax fraud cases. Local police departments who help with federal investigations are compensated through the fund. And, Neronha warned, police departments in the state could lose out if money was redirected towards a border wall. “We want Rhode Island law enforcement agencies, and Rhode Island’s public to benefit from the money that Congress has allocated in this direction,” he commented. Similar compensation funding has been used to shore up local police department pension funds in the past, he added. According to Neronha, the Rhode Island State Police currently have 50 applications for compensation filed with the Treasury and Department of Justice Forfeiture Funds. 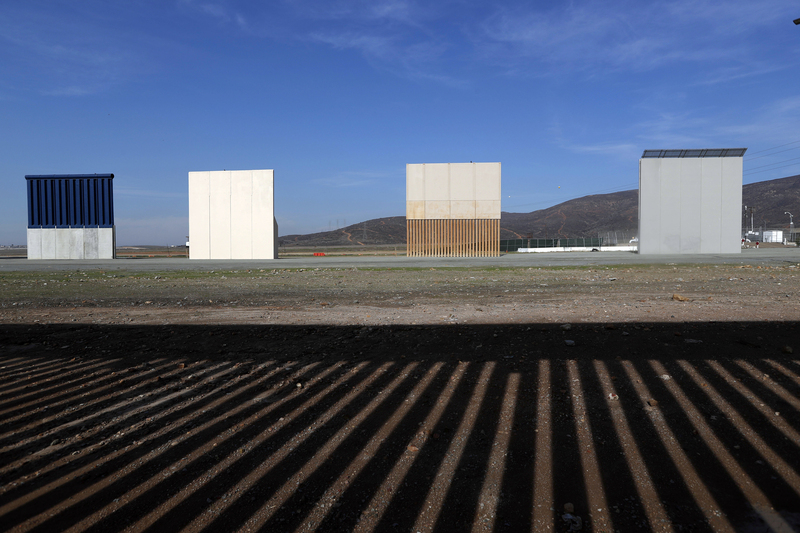 In this Wednesday, Dec. 12, 2018, file photo, border wall prototypes stand in San Diego near the Mexico-U.S. border, seen from Tijuana, Mexico, where the current wall casts a shadow in the foreground. Customs and Border Protection said Friday, Feb. 22, 2019, President Trump’s eight border-wall prototypes will be torn down to make way for a secondary barrier separating California from Mexico.